The mad cows at the BSE campaign have rolled out their latest intellectual heavyweights to add to their argument for staying in the EU - the Beckhams. David and Victoria Beckham - worth £430m and living in Los Angeles - say they are "passionate" about the UK staying in the EU. But not passionate enough to live here, of course. The Beckhams haven't always been pro-EU though. 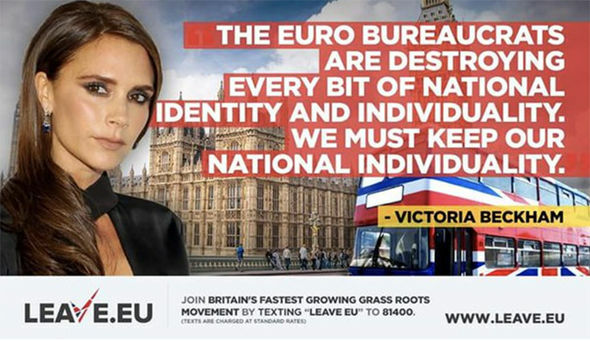 Back in the 90s when they were still actually living here and weren't quite so insulated from the insanity of life in the United States of Europe, Victoria Beckham said that "euro bureaucrats are destroying every bit of national identity and individuality".